Legendary pistol and 3-Gun shooter Jerry Miculek stars in a great instructional DVD set from Brownell’s. The 3-Disc DVD set, “Jerry Miculek Practical Rifle”, shows Jerry working his magic with AR-platform carbines. This DVD set is available from Brownells.com (item 100-004-974) and from Jerry’s website. 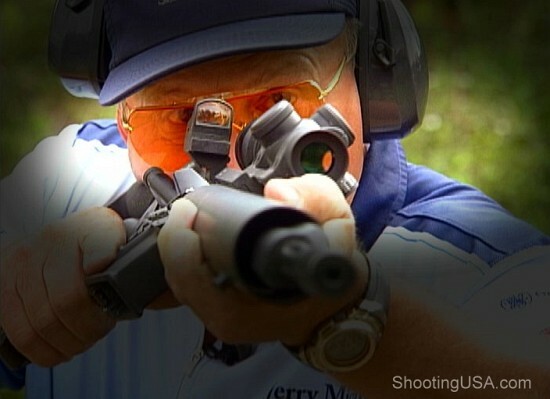 The Jerry Miculek Practical Rifle DVDs cover every aspect of shooting the AR-15 in multi-gun matches — from the basics of stance, grip, trigger control, all the way to advanced shooting techniques. Specific topics covered include: 1) Setting up your rifle; 2) Stance grip and trigger technique; 3) Acquiring targets more quickly; 4) Shooting on the move; 5) Shooting multiple and moving targets; 6) Shooting behind cover; 7) Reloads and malfunction drills. Along with the instructional demos, the DVD provides basic and advanced drills that viewers can use to improve their shooting speed and accuracy. The Miculek Practical Rifle DVD comes in a 3-Disc set. 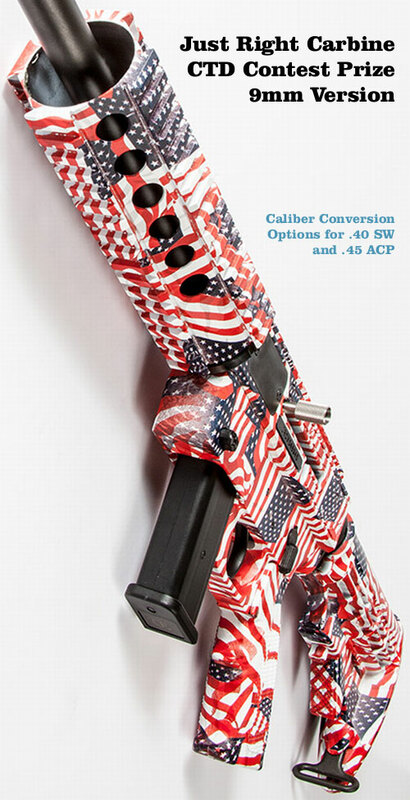 Disc One covers gun set-up and hardware selection (trigger, barrel, optics). Disc Two covers shooting technique — stance, position, weight distribution, target acquisition and other gun-handling skills. Disc Three is the “Application” — Jerry shoots typical courses of fire, showing how to engage various types and locations of targets with maximum efficiency. Photo courtesy ShootingUSA, which offers Jerry Miculek’s Pro Tips as streaming videos. We predict serious multi-gun shooters will add this DVD set to their libraries. Produced entirely at Brownell’s studios in partnership with Jerry Miculek’s Bang Inc., the complete 3-Disc set runs 2 hours and 17 minutes. Each Disc features multiple camera angles (including “shooters’ eye view” through the optic), slow motion footage, and animated illustrations. Share the post "Miculek Stars in Practical Rifle Instructional DVDs"
Here’s a new product that would be a great starter rifle for kids and a perfect training rifle for CMP M1 Carbine matches. 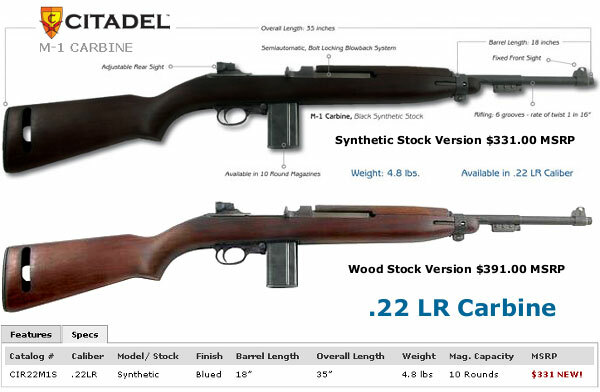 Legacy Sports recently announced their new Citadel M-1.22 rifle, a .22 LR rimfire clone of the legendary M1 Carbine (which was chambered in .30 Carbine, essentially a rimless version of the .32 Winchester Self-Loading cartridge). Size, weight, and balance of the Citadel M-1.22 are very similar to the real thing. 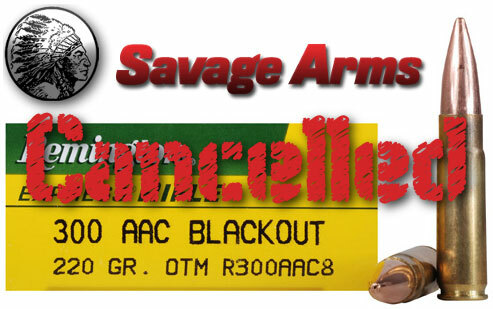 Legacy’s new rendition is set up to shoot the popular, inexpensive .22 LR round. The new Citadel M-1.22 rifle is made in Italy by Chiappa Firearms (Armi Sport). The rimfire M-1.22 features a blow-back action, an 18″-long, 1:16″ twist barrel, fixed front sight and adjustable rear sight. It will come with 10-round magazines, in either a wood stock version at $391.00 (item #CIR22M1W) or synthetic stock version at $331.00 (item #CIR22M1S). 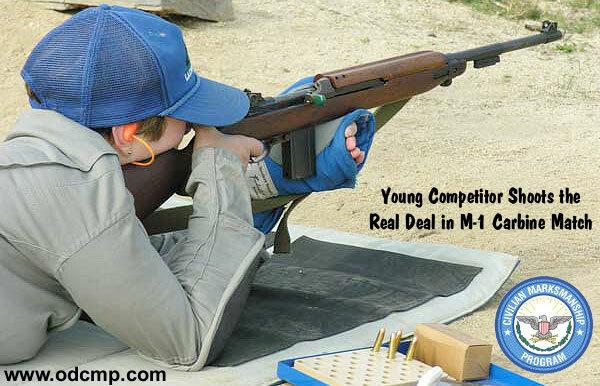 We think the M-1.22 will be a popular Christmas gift item and, as noted already, it is an ideal “cross-training” firearm for CMP Carbine Match competitors. Learn more about the new Citadel M-1.22 at the LegacySports website. In the near future, M-1.22 rifles can be purchased through GalleryofGuns.com. Share the post "New .22 LR Rimfire Version of Classic M1 Carbine"
Russian arms-maker Baikal has a new mag-fed rimfire repeater chambered in .22 LR, .22 WMR, and .17 HMR. The new Baikal MP-161K “Small-bore Magazine Carbine” combines Russian reliability/simplicity of operation with modern styling and ergonomics. The fiberglass-reinforced polymer outer shell copies the design of recent Beretta carbines — that’s not a bad thing. The MP-161K features a modern thumbhole stock configuration with a comfortable hand grip and adjustable cheekpiece. The MP-161K comes with standard iron sights or you can attach a Weaver-type rail to the top of the receiver for mounting telescopic optics. Standard magazine capacity is 10 rounds, and the curved magazine “disappears” completely into the receiver housing. That’s a nice feature for someone carrying the gun in the field — one less projection to snag. The gun is light-weight. Without scope the MP-161K weighs just 5.72 lbs. (2.6 kg). The Baikal MP-161K will be sold in the USA by European American Armory (EAA Corp.), which has recently resumed importation of the Baikal line of firearms. EAA does not expect to have MK-161Ks in stock before mid-December, if then. Price has not yet been set. We’ll try to give you a hands-on report from SHOT Show 2011 in January. Share the post "New Mag-fed Rimfire Carbine from Russia — Coming Soon"